Dress up your bathroom with a new toilet paper holder. 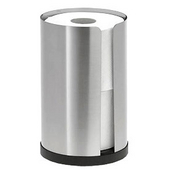 Available in a range of designs from traditional to contemporary, toilet paper holders come in wall-mounted or freestanding styles and can store one or more rolls of toilet paper. 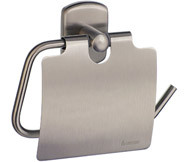 Traditional toilet paper holders operate with a spring-loaded rod, while Euro-style toilet paper holders have an open end that makes it easy to remove and replace the toilet paper roll. Choose from a wide variety of finishes to coordinate with your bathroom decor. With Smedbo toilet paper holders, you can choose among many different lines of styles, from traditional to contemporary, to suit any decorating taste and design. 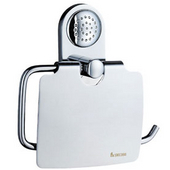 Purchase this product along with other Smedbo bathroom accessories. The toilet paper holder serves a functional purpose and looks great in just about any bathroom. Available in a wall mount application, the Smedbo maximizes bathroom floor space, which reduces clutter and prevents obstruction from the floor.